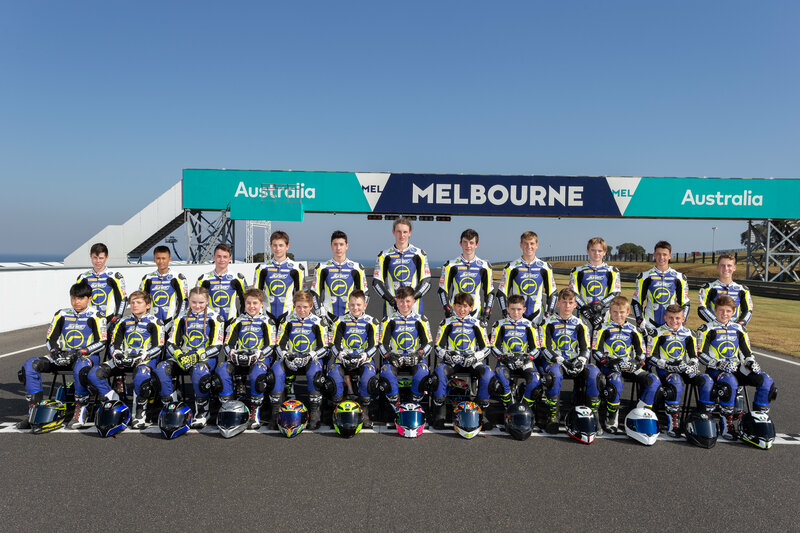 The Road To MotoGP™ begins now for 26 of Australia and New Zealand’s most talented junior road racers, as the 2019 bLU cRU Oceania Junior Cup roars into life for the first time ever at Wakefield Park, New South Wales (NSW) for Round 1 of the junior Road Race academy. All the action from Round 1 of the bLU cRU Oceania Junior Cup will be freely streamed viaASBK.com.au so you can witness a historical moment in Australian Junior Road Racing! Our Juniors will grace the track at Wakefield Park from 11:25AM, 2:05PM and 3:35PM on Saturday 23rdMarch, returning on Sunday 24th March to battle it out for inaugural podium real estate from 9:10AM and 10:25AM, with their third and final race for the weekend scheduled for 3:30PM. Stay updated on all things bLU cRU Oceania Junior Cup by checking out the website and Facebook.